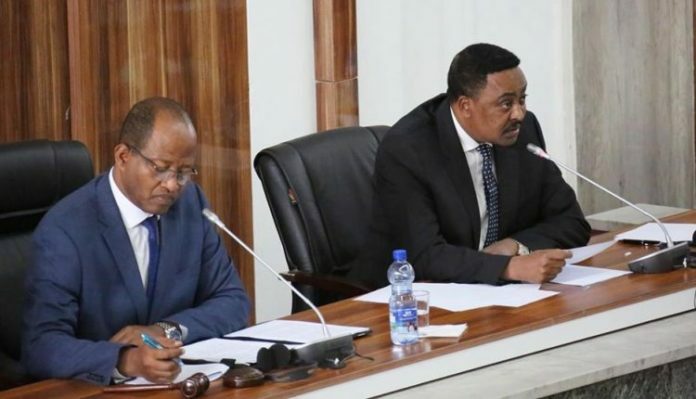 Addis Ababa, January 29, 2019 (FBC) –Ethiopia’s Minister of Foreign Affairs, Dr Workneh Gebeyehu, presented his office’s six-month performance report to the House of People’s Representatives (HPR) today. Significant gains were made from the activities carried out to protect and advance the national interests of the country and to acquaint the international community with the nationwide reforms, he said. The efforts carried out to get new partners and reinforce ties with the existing ones have borne encouraging results, he said, adding more works were done to maintain sustainable peace and promote economic integration in the Horn of Africa region. The Foreign Minister also appreciated in particular the gains made from the diplomatic efforts undertaken to promote development and economic integration with Djibouti, Eritrea and other horn of African countries. In addition to the dialogue held with relevant bodies to resolve the problems along the Ethio-Djibouti corridor, Ethiopia has sent to Asmara a draft document that specifies port usage rates and logistics service provisions to use Eritrean ports. Discussions were also held between Ethiopia and Somalia to use ports of Somalia and better efforts were also made to persuade Nile basin countries to ratify and sign the Cooperative Framework Agreement (CPA), he said.